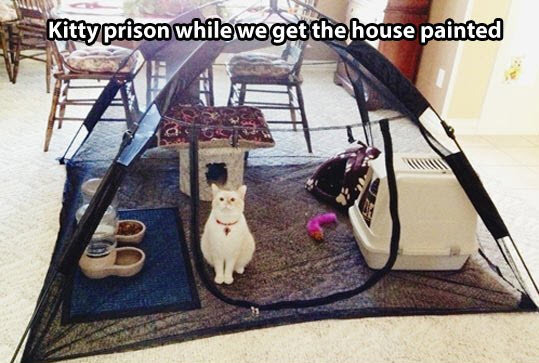 Use a tent as a large cage for your cat! Get a tent that has screen walls. Fill the tent with your cat’s supplies, such as a litter box, scratching post, toys, and food bowls. Supervise your cat while they are in the tent to ensure they do not climb the sides and accidentally tip it over or get stuck.